First preparation for leather begins when raw hides are washed to clean the blood and other tissue materials. After the tanning, the leather is treated for specific surface qualities. The leather passes through several wet processes for colouring and oiling. After drying the hide is mechanically processed for specific look or feel. Commercially available leathers are of basic four classes. 1 Full-grain leather is a hide without sanding, buffing, etc., nominally employed to remove or level out the natural surface imperfections. The grain structure nearly remains intact allowing to breathe while retaining the strength and durability. Some furniture upholstery, shoe soles, leather shuttle buffers (such as in weaving looms), belting, etc. use the full-grain leather. 2 Top-grain leather Many of the hides are split and shaved (at certain sections) to level out the surface to even thickness, before and after tanning, but for better quality the process is redone. The repeat process makes the leather thin, soft and pliable. Its surface may have less breath-ability. 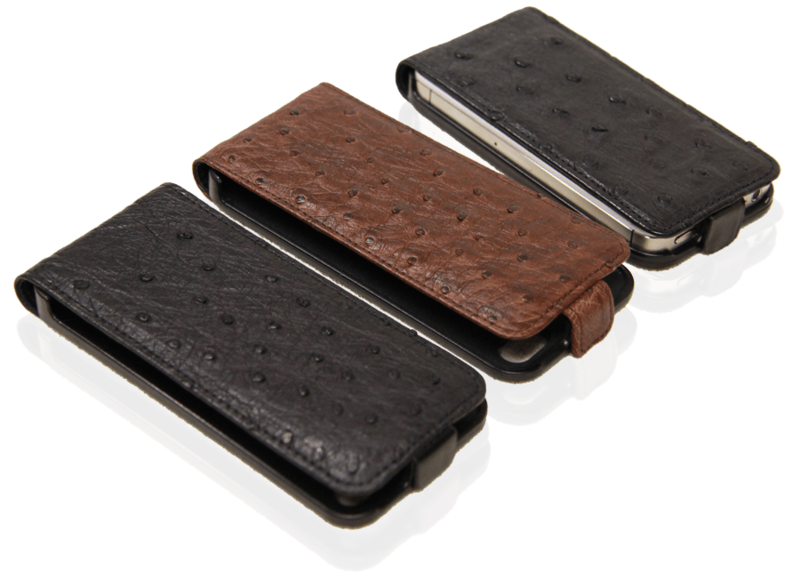 3 Imprinted grain leather is a product over which grains are embossed or pressed. The surface imperfections are corrected by splitting, sanding, and then grains are embossed. After these processes the leather is dyed. 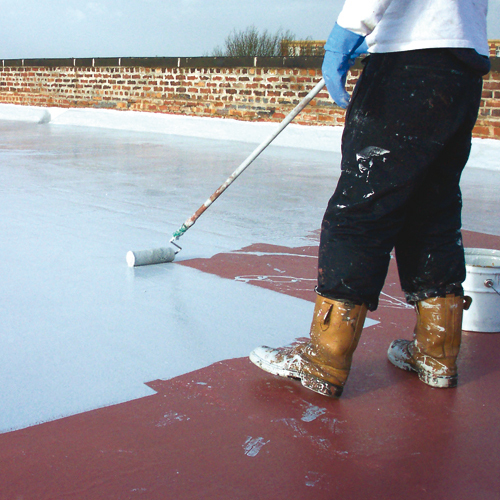 Heavy pigmentations also cover up micro irregularities of the surface. 4 Split leather is created by separating the layers (process similar to veneering of wood) of leather. The top layer, if too thin, the bottom is reinforced with synthetic materials, woven or knitted fabrics or other splits of leathers. The splits are also top layered with synthetic polymer products. Splits are also used to create suede leathers. By-cast leather is a split leather with a layer of polyurethane lamination that is then embossed. It is a leather in only look aspect (and not the feel); otherwise, its surface is completely layered in plastic. Heavy leathers are finished by coating the grain surface with a finishing compound, and finally by brushing it under a revolving, brush-covered cylinder. The grain surface of light leathers is buffed, or sandpapered, to correct imperfections in the skin. Buffing the flesh side of leather raises the nap and produces the popular leather known as suede. For smooth finishes, most light-leather is seasoned, or treated with a mixture of such materials as waxes, shellac or emulsified synthetic resins, dyes, and pigments. Pigments are used sparingly to avoid a painted look. Leathers are surface treated in many different ways. Impregnation is achieved by padding, dipping, brushes coating, spraying, rolling, screen printing etc. Impregnation systems are water or solvent based, and help strengthen the crust while saturating the colouring and coating. Fillers are also water and solvent based, used to for achieving surface uniformity of colour and gloss while adjusting the feel. Auxiliaries are many different types, used to optimize the performance of the finishing systems and for special effects. 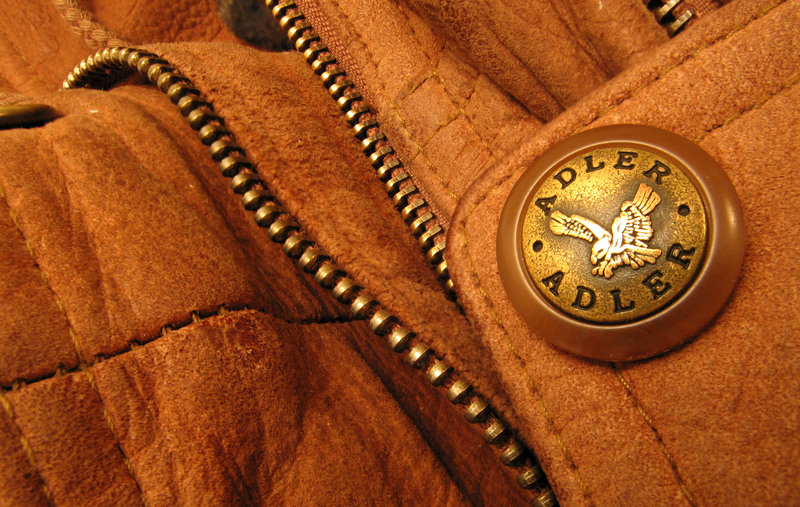 Modifiers improvise the feel quality of leathers, while altering physical qualities of the leather. Dulling agents help adjust the gloss at the top coat. Topcoats are surface covering systems applied to leathers to impart specific transparent, translucent or opaque (solid) colour, shade, or decorative (metal, pearl, etc.) effects. 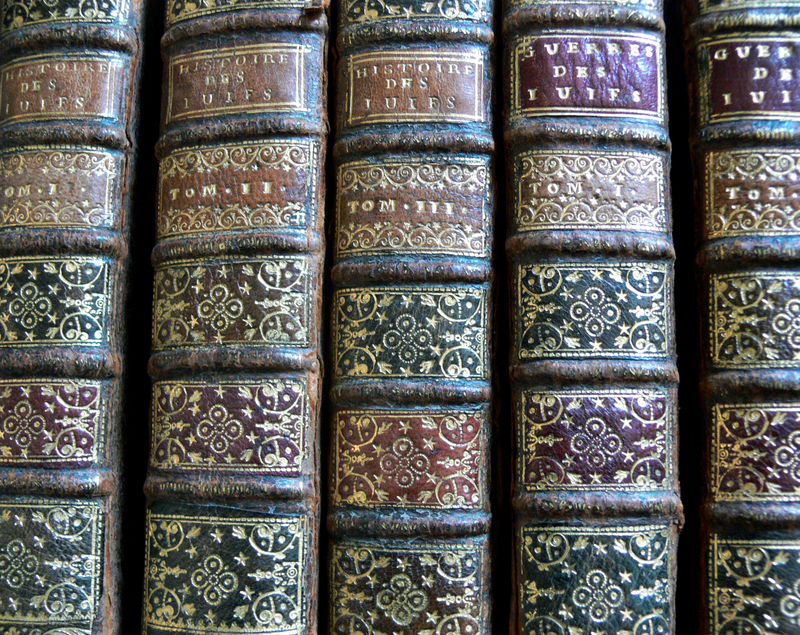 Book Binding with coloured embossed Morocco leather. Leathers are surface altered by chemical and mechanical treatments. Chemical surface treatments include bleaching, staining, and other coatings. Leathers are infused with such materials as Epsom salts, oils, and then lubricated with hot emulsions of soap, grease, and sometimes wax. Mechanical surface treatments are: pressing -for levelling and compacting, rolling -for firmness and gloss, and embossing -to achieve granular or wrinkled textures. Leather Substitutes, are synthetic substances that look, feel or behave like a leather due to its one of the dominant qualitative advantage, cost, uniformity or easy availability. Replacement products are also used by people who do not wish to use an animal product. These synthetics include such plastics as polyvinyl chloride and non woven fiber impregnated with binders. These materials lack leather’s porous quality, pliable nature, and resilience. The word Calico derives from Caliyans, a community of weavers from Kozikode or modern Calicut city of Kerala state in South India. 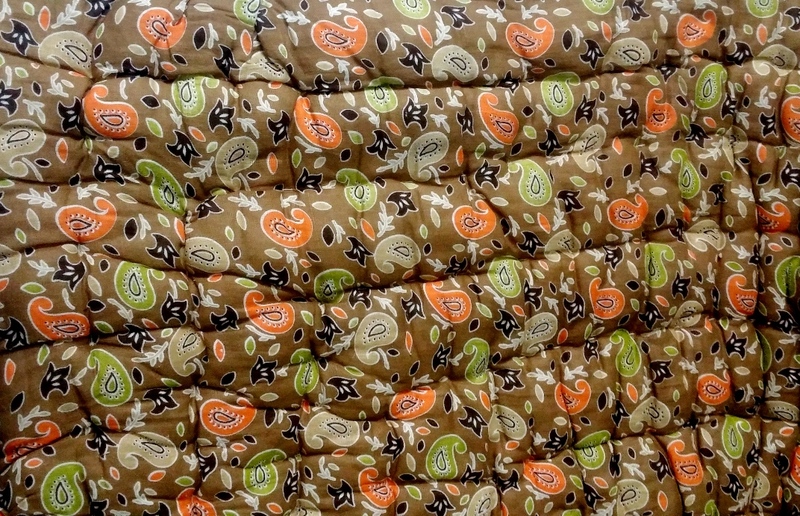 Calico, all cotton fabric in plain or tabby weave ordinary cloth, was manufactured since 11th C., or perhaps earlier. It was later manufactured at several coastal locations like Surat and Cambay of Gujarat, indicating its export value. 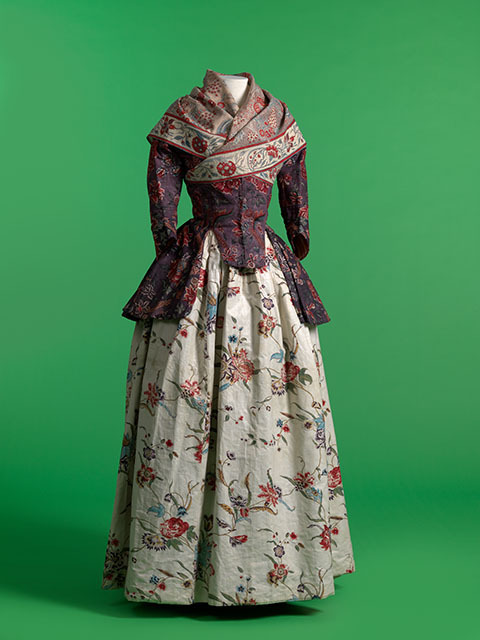 The exported Calico was floral patterned printed fabric, sometimes called Chintz. 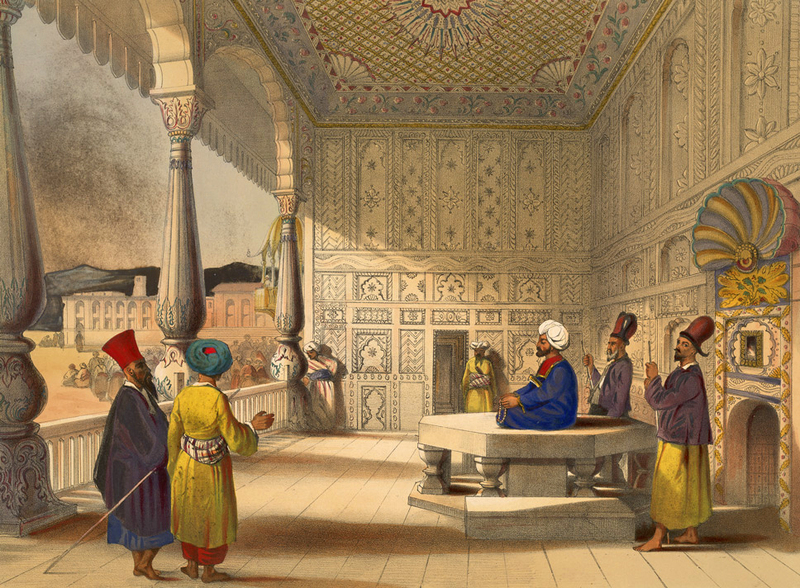 By 17th and 18th C., when European traders and colonists established trade-posts in India, it was as important a commodity as the spices traded between India and Europe. The European interest in the fabric was for the unprocessed or Grey fabric as well as for the printed version of it. Hemachandra, an Indian writer, of 12th C., mentions chhimpa, or calico prints, decorated with chhapanti, or a printed lotus design. The earliest fragments of exported fabric of 15th C., have been ‘found at Fustat near Cairo’. It shows resist dyed fabric. 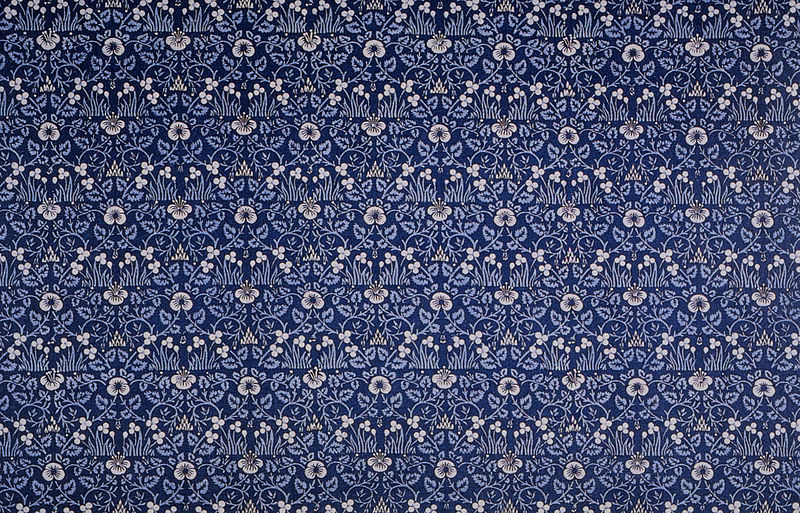 During the Mughal period block printed cotton fabrics were manufactured in Ahmedabad, Surat, Cambay of Gujarat, Rajasthan, and in Burhanpur, in the Khandesh region of Central India. All these centers were surrounded by cotton growing lands. In India, Calico processing and printing, both, were improvised to suit the European market requirements. For home use simpler geometric patterns and motifs of small flowers were used whereas for the Europe needs larger patterns or ‘all-over’ designs were produced. 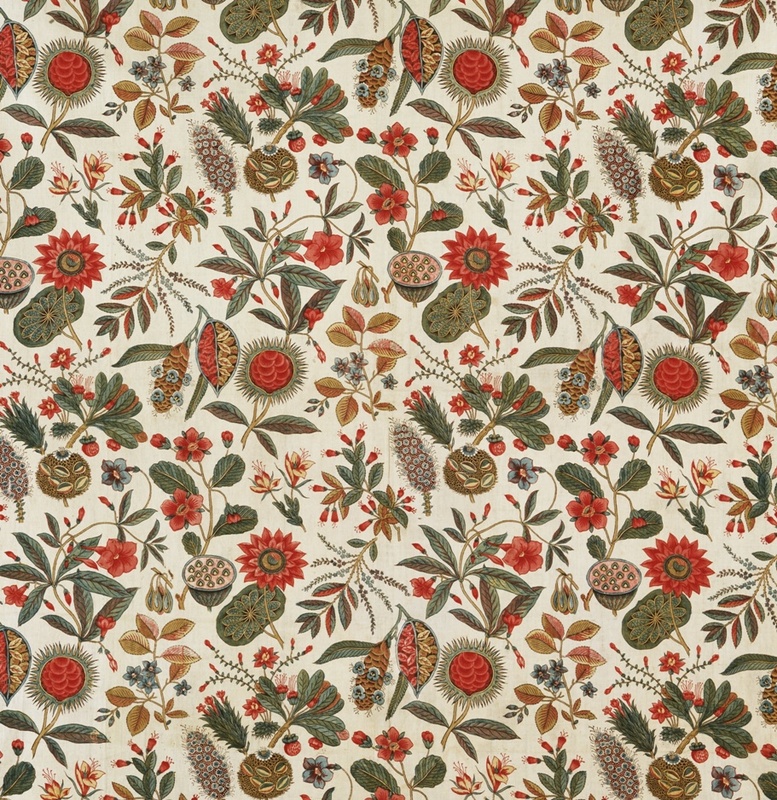 Calico prints, procured by the East India Company from India, were comparatively cheap (compared to wool-cotton combinations) and popular. It affected the English weavers, so an act was passed (1700s) preventing import of dyed or printed fabrics from India, China or Persia. The importers shifted, to Grey (non-processed) fabrics. These were processed and printed in England. Local weavers also began to import raw cotton, and produced grey cloth with linen warp and cotton weft, known as fustian. This was not enough to satisfy the expectations of local projectionists. A law now banned the use (wearing) of any printed or stained calico, muslin, etc. except the local fustians. These laws made India just a supplier of low cost raw material, rather then an exporter of a value-added commodity, the Calico. 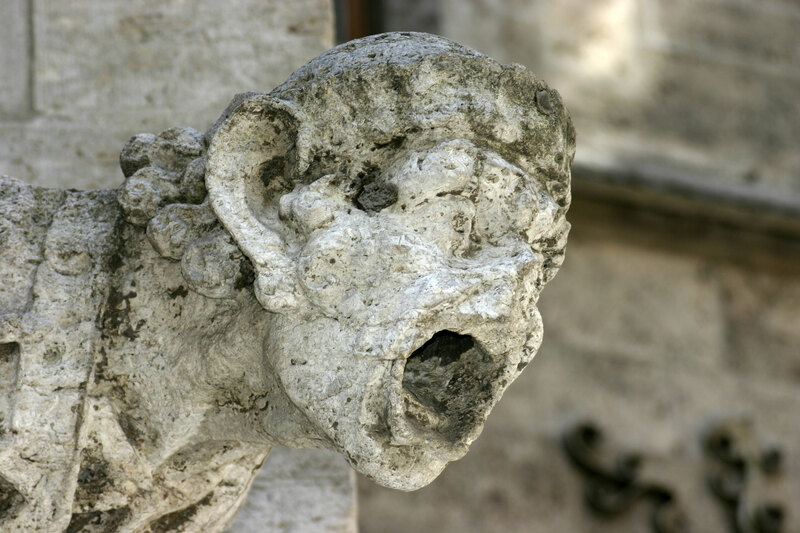 In Europe calicoes were generally used for hangings, curtains, bed-covers, and dresses. The fabrics were bleached, base or ground dyed and then printed through rollers or screens. 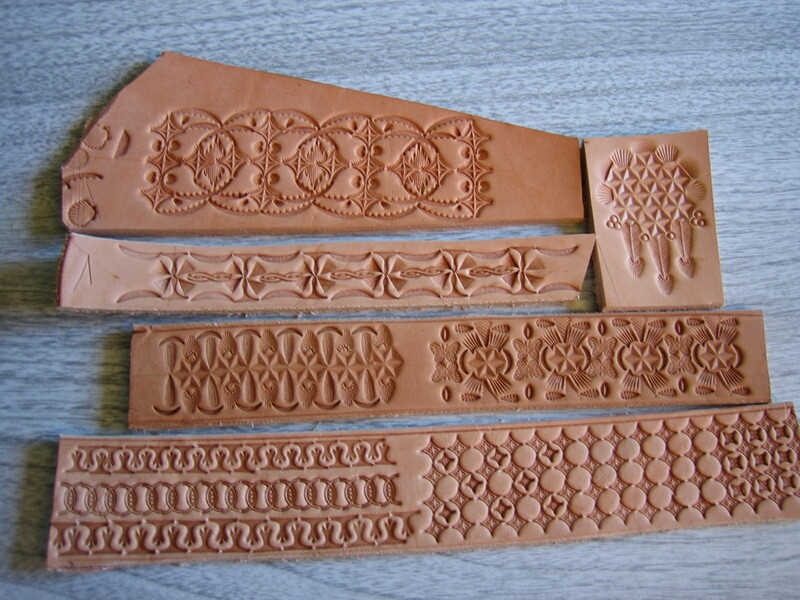 Block printing was not common in European factories. Indian-made chintz or calico fabrics were with darker ground colours compared to very light base in European fabrics. Early Indian chintzes, the glazed calicoes, were blocks mark printed with large floral patterns. But Europe, in later periods preferred patterns with smaller motifs. Postures are very important tools of behaviour for task facilitation and intentional as well as unintentional expressions. Postures required for conducting tasks primarily provide change, relaxation, transition, exercise and reach. Postures for communication and interaction may gain from the spatial ambiance but depend on external amenities, facilities. Postures have many variations within a basic theme or purpose. The variations are micro changes of the body that help in sensorial perceptions and manifestations. Postures have empathetic and confirming images for the society as these are closely linked to the local terrain, climate, environment. 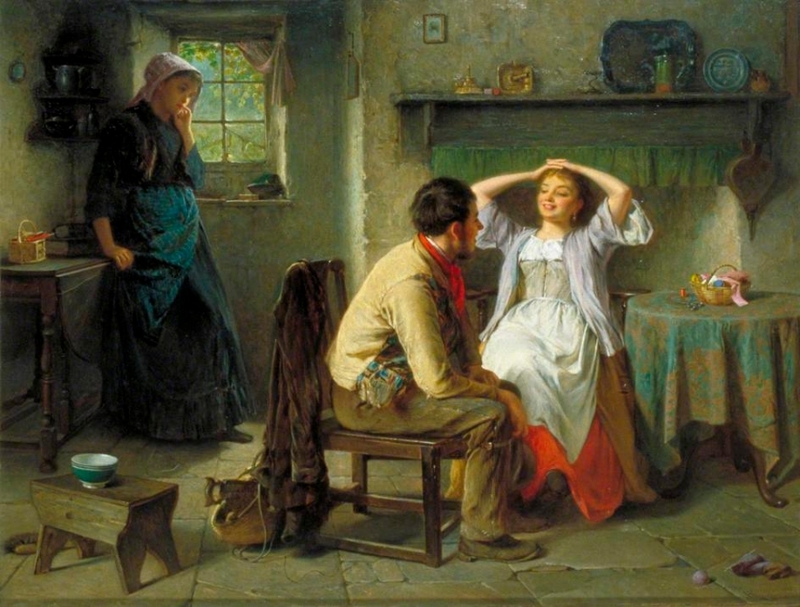 Postures directly and abstractly convey the state of interpersonal relationships, social standing, personality traits such as confidence, submissiveness, and openness, current emotional state and temperament. Certain body positions, patterns and movements suggest specific emotions, that are readable by the clan or group. Posturing is using own body, its limbs and sensorial nodes in coordinated manner vis-á-vis another individual, groups of persons, or the elements of the space. In case of social encounters one perceives the sensorial and bio-manifestations and accordingly improvises own responses. 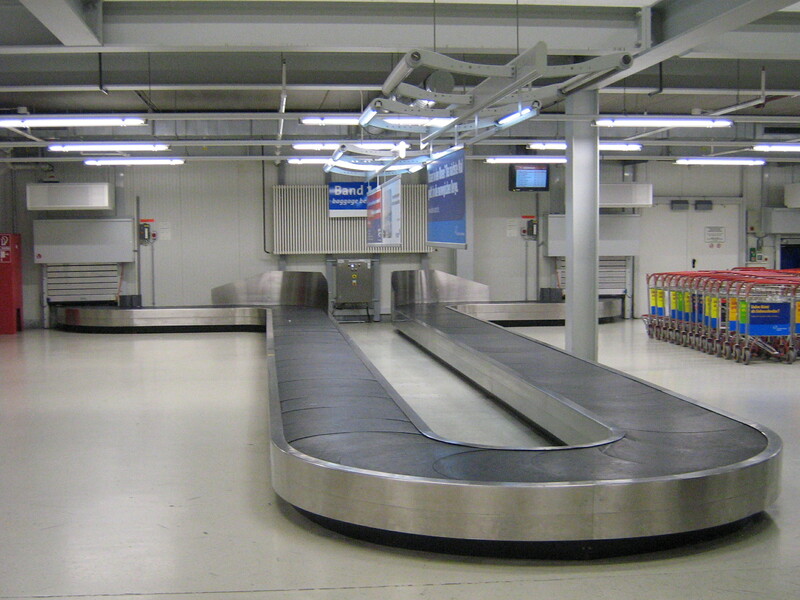 Space, environment and the objects are used as tools for posturing. One can also reshape the space, reformat the environment and rearrange the objects and thereby economize or avoid some degree of posturing. Posturing, is primarily for own well being, or sustenance of life. Secondly, it is to resist or follow the gravity, by exploiting or overcoming its effects. Posturing is used for privacy and intimacy. Posturing helps one to control incursions by others into the personal domain of behaviour, as much as it allows one to project a participating personality. A person takes on postures with several intents. First purpose is to gain and maintain it. Gaining a posture is to transit over from some other posture, and maintenance is readiness to change over to another one. It also includes the scope of micro posturing for blood circulation, muscle relaxation, fluid balancing, making gestures, and micro tuning the reach and handling capacities. Postures are axially balanced or skewed. Balanced postures are mirror-image (congruent) postures, such as equally posed two feet, two hands, etc., or are normal ones like the frontal face, upright torso, erect neck, straight eye level, etc. Skewed postures reflect a readiness to transfer to another posture, due to shift in interest or boredom. Both, the balanced and skewed postures, cannot be maintained for a very long period. Good designs include other support systems. The supports are casual, subtle, imperceptible, or very obvious ones. Designers design for postures as important poses of behaviour sequences. Some flexibility within the postural poses is perceived or left to the individual to extemporize. A chair that is slightly wider or lower, a bar stool with a foot support ring, a seat with multi flexural (revolving, tilting, rotating) adjustability, TV or monitor swiveling stands are some of the examples that allow flexibility. Office executive chairs allow great many postures, due to the width of the seat, height of the seat, height of the handles from the seat, depth of the handles (elbow or arm accommodation), inclination of the back (tilting), height of the back (mid spine, shoulder support, neck and head support), swiveling, etc. Other postural options are provided by the table top height from the ground and seat level of the chair, depth and width of the table, nature of foot rest, task being handled, mobility of the chair (depending on the quality of wheels and flooring surface), etc. The site and its environmental conditions also play their role, such as the chair close against a wall, against an open space, facing a barrier or an open area, the source of illumination and air handling devices, one sided or multi directional interaction, communication devices being used and duration of work. Similarly ordinary people need to exploit the situational conditions for behavioural setting. Where possible a person would choose an appropriate seat with reference to the host or other participants, own social status, own psychological make-up, presence or absence of intervening elements, angle, level and distance of the encounter, level of comfort and formality desired. Next strategy would be for macro or micro shifting of the seat. Where such devices are lightweight mobile, micro shifting for angular and distance adjustments are done, but such choices are usually limited. Other strategies will include body or postural accommodation, such as seating by fully drawing back or upright, leaning on, one of the arm rest rather then a balanced posture, keeping arms on armrest, lap or any other front side device, placing the legs under the seat, straight-up, seating with cross feet or leg, seating frontally but looking sideways. Composite materials have at least two materials, with distinct roles. One acts as MATRIX and the other functions as a FILLER. The structure and properties of the filler-matrix interface play a major role in the mechanical properties of composite materials. The stresses acting on the matrix are transmitted to the fillers across the interface. A series of strips held together offers strength equal to one strip but when clamped together all layers take the load. Some engineering parts have to operate at temperatures high enough to melt or degrade a polymer, so a polymer matrix is not useful. In such a situation Metal matrices offer high-temperature resistance, and strength and ductility, or bend-ability. The main problem with metal-matrix composites (MMC) is that even the lightest metals are heavier than polymers, and they are very complex to process. MMC can be used in such areas as the skin of a hyper-sonic aircraft, and Space shuttle, commercial airliners, electronic substrates, bicycles, automobiles, golf clubs, and a variety of other applications. Metal matrix composites have good thermal conductivity, high shear strength, very high abrasion resistance, high-temperature bearing capacity, non-flameability, not affected by solvents. These composites can be machined or processed further through conventional engineering tools and equipments. Majority of commercially used metal matrix composites have Aluminum as the matrix, but in specialty metal sections, large number of applications employ matrix properties of super-alloys, titanium, copper, magnesium, or iron. 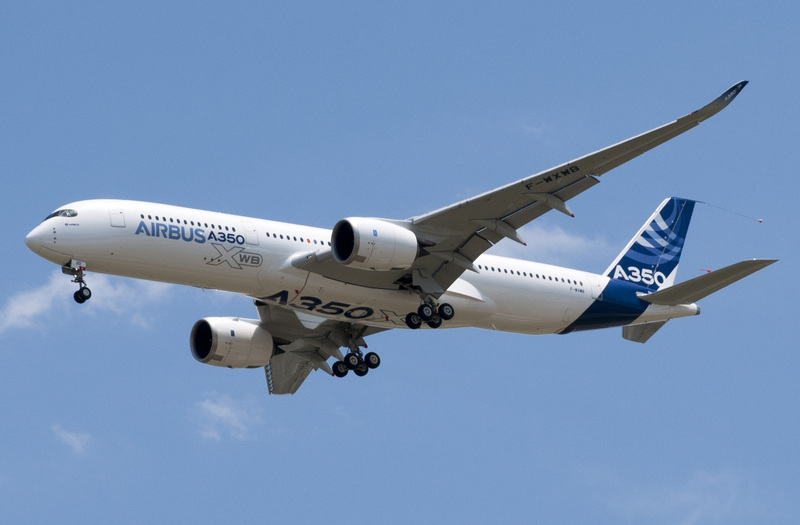 Aluminum-matrix composites are not a single material, but a group of materials whose stiffness, strength, density, and thermal and electrical properties can be defined. The matrix alloy, the reinforcement material, the volume and shape of the reinforcement, the location of the reinforcement, and the fabrication method can all be varied to achieve required properties. Regardless of the variations, however, aluminum composites offer the advantage of low cost over most other MMCs. Aluminum MMCs are produced through several routes such as casting, powder metallurgy, in situ development of reinforcements, and foil-and-fiber pressing techniques. For Metal matrix composites fillers as reinforcements are like, continuous fibers, discontinuous fibers, whiskers, particulates, and wires. With the exception of wires, which are metals, reinforcements generally are ceramics. Metal wires include tungsten, beryllium, titanium, and molybdenum. Metal matrix composites are typically made by infiltrating liquid metal into a fabric or a prearranged fibrous configuration called a preform. Vulcanization is a cross or inter linking process between individual polymer chains. Raw rubbers have little elasticity, stability, and are deformable but with interlinking the flexible polymer molecules get entangled. The interlinked entanglement can be temporary as such molecules can again disentangle and flow under stress. The interlinking is carried out by addition of sulfur, or other equivalent curatives or accelerators. The term vulcanization also refers to other process where cross linkage is encouraged, as for example cellulose treated in a zinc chloride solution to cross-link the cellulose fibers. Some form curing of rubber was carried out since prehistoric times. Ancient Mesoamericans, extracted latex from a rubber tree Castilla elastica, and mixed with juice of a local vine, Ipomoea alba, to create processed rubber as early as 1600 BC. Modern process of ‘curing’ the rubber, the vulcanization, was named after Vulcan, the Roman god of fire, metalworking and forge, in the 19th C.
First rubber products remained stable during winter period, but with summer heat became liquid gum like mass. The process of vulcanization corrected that defect while offering many stable products such as tyres, shoes, soles, hoses, and conveyor belts. Uncured rubber is used for adhesives, insulating and friction tapes, coatings, etc. Rubber has good resistance to abrasion and so used for tyres, industrial belts and conveyor belts. It is flexible and elastic so used for gaskets, bendable pipes, foundation packing as vibration absorber, stretchable threads, bands and stripes. Rubber is relatively impermeable to water and gases, and so useful for hoses, balls, rain-wear, diving gears, and balloons, cushions. Rubber is used for inner lining of chemical storage vessels. It is a poor conductor, so used for insulation as well as for electrical insulation. Vulcanized rubber is used to make articles such as clarinet and saxophone mouth pieces, bowling balls and hockey pucks. Vulcanization affects properties of rubber on several fronts: such as better strength, stiffness, hardness, fatigue and abrasion resistance, chemical stability, reduced deformations superior behaviour in temperature variations. Vulcanization is made agents like sulfur, sulfur donors, peroxide, thiazole and sulfonamide accelerators, metal oxides, polyvalent metal ions. Curing is heat treatment, usually after a product is formed. The product is heated and maintained at the required temperature under steam pressure. Many articles are vulcanized in moulds that are compressed by hydraulic presses. The optimum amount of sulfur to be added to the rubber is about 10% by weight. Adding an excess of sulfur produces a very brittle and inelastic substance called Ebonite. Man-made or synthetic rubber can also be vulcanized, and the process is similar. Vulcanized rubber is about 10x stronger than natural rubber and is also about 10x more rigid. Polymers that are elastic are sometimes called elastomers. Corrosion is oxidation of metals in reaction with an oxidant such as oxygen. Rusting is formation of iron oxides through gradual destruction of the material by chemical reaction with the environment. 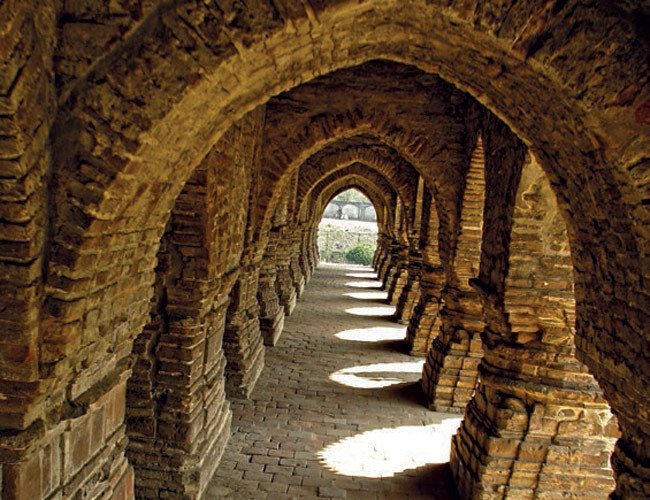 Corrosion or degradations as a process of wearing away of the mass also occurs in ceramics (efflorescence of bricks and terracotta), stones, glass and polymers. 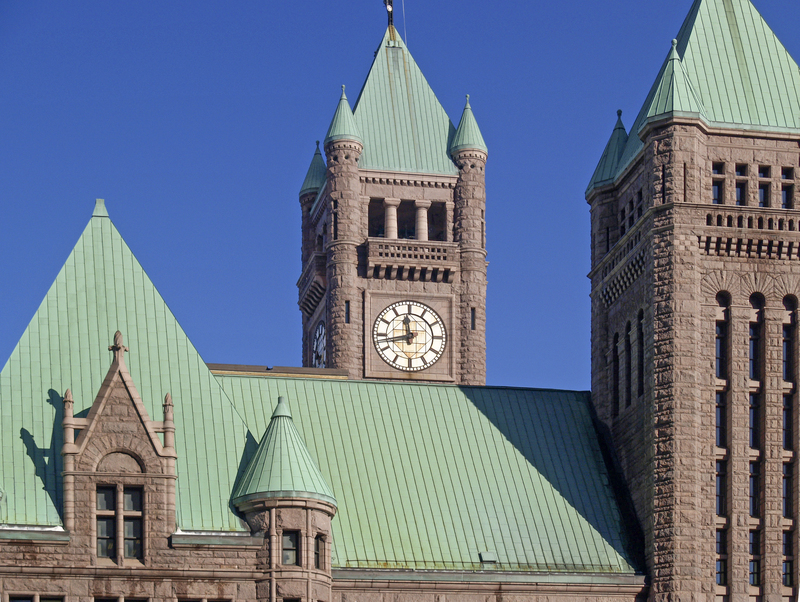 Corrosion can be local or more widespread affecting the entire surface. Corrosion is a diffusion process and occurs on the exposed surfaces. One of the main methods of preventing such destruction is to isolate the surface from its environment, including the atmosphere and contact with other passive materials. Both, Ferrous and Non ferrous metals, have a tendency to corrode that is the atom lose electrons and become ions. This is called an anodic reaction, and for the corrosion process to proceed there must be a corresponding cathodic perceptor that adsorbs the electrons. There are several ways prevent, reduce or terminate the corrosion. ☐ Metals get corroded by the environment. In most cases, to create an ideal environment for surrounding the metal will require a very large and extensive system, and possibly large quantity of energy to maintain it. ☐ Corrosion occurs due to the discharge of electrons. Metal electrons migrate due to electrical potential that builds up amongst different metals and between the metal and an electric conductive substance, of an assembly. If cathodic polarity is imposed by supplying an electric DC current to reverse the direction or by attaching sacrificial anodes such as aluminium or magnesium, whose atomic relationship with steel is such that a current is generated without external assistance (the anodes are earthed and have electrolytic continuity with the structure). ☐ Next course is to isolate the metal from corrosion conducive aspects of environment (such as moisture, water, acidic fumes, chlorides etc.). Coatings and plating provide the required isolation. The most appropriate way would be to place the isolating element as close to the metal surface, as possible, and if feasible even integrate it into the metal itself. Electroplating, metalizing etc., are some of the techniques that are on the verge of integration. ☐ Corrosion can also be controlled by constitutionally upgrading the metal, by one of the following techniques. ▫ Alloying – solid solution, precipitation, amalgamation.